Humans communicate from the time they are infants until the day they die. At its heart, communication is all about the same thing – whether we speak, write, gesture, sign, listen, or tweet. It’s a way of telling someone something. So why, if lawyers have been communicating for as long as they have, are the majority of LAWPRO claims related to communication issues? In 2010, for example, the broad category of communications accounted for about 35 per cent of claims reported and 45 per cent of claims costs. LAWPRO breaks that broad category of communication claims into three categories of errors: failure to obtain consent or inform (often a lack of two-way conversation), failure to follow a client’s instructions (often this is a disagreement over what was agreed upon), and poor communication (for example, unreturned phone calls). Ontario lawyers aren’t the only ones facing these communication challenges. Insurance companies and law associations in the United States, Australia, and Great Britain have noticed the issue as well. According to a 1994 survey done in Australia, the majority of malpractice claims in that jurisdiction are caused by lawyers not listening to the client, not asking appropriate questions or not explaining relevant material. LawCover, the professional indemnity program for lawyers in the New South Wales, found 51 per cent of clients were dissatisfied by information provided by the lawyer, 67 per cent felt they had no control over the outcome, and 80 per cent wanted more participation in the legal process. A different study, done in Great Britain, found that communication problems were an “important source of client dissatisfaction.” The study found that bad communication on the part of lawyers wasn’t just a matter of sloppy practices or unreturned phone calls. The study emphasized the importance to clients of understanding and being understood. Is it that lawyers can’t communicate? It isn’t that simple an issue. In fact many excel at certain forms of communication. Lawyers are often applauded by their peers and the judiciary for their excellent advocacy skills. So if lawyers are highly effective communicators, why are there so many communication-related claims? And why does this seem to be an issue among lawyers, irrespective of jurisdiction? 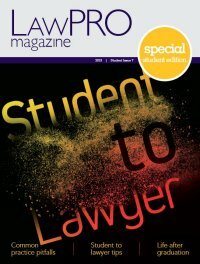 To answer that question, LAWPRO canvassed a number of people – inside and outside the profession – who are known and respected for their communication skills and expertise. We also examined research studies on the broad topic of client engagement and communication. What we learned is that communication is an issue for any service provider. Moreover, the problem may lie in the way lawyers communicate with their clients – that is, in the customer service experience. To the extent that the overall experience is positive, the communication that is integral to that experience is also seen as successful; but a bad customer experience often defaults into an allegation of communication failure. It’s been said before but it’s worth repeating: The world has changed from the days when there was blind, unflinching faith in professionals such as doctors and lawyers. Clients today are more likely to be educated, and want to be involved and understand the process. They also have access to the Internet – so inevitably are more questioning if not more knowledgeable about a subject. And they have higher expectations – of the information they will get, the service they will receive, and the overall customer experience. Moreover, people need to feel engaged in the process, says Dilip Soman, an expert in client satisfaction. A professor of marketing and communication strategy at the Rotman School of Business, Soman has focused extensively on the field of behavioural economics, the application of human behaviour to business and marketing models, and the effect of emotions and memories and how they influence experiences with service providers. According to Soman, engaging a service provider can either be rational – for example, it fulfills a functional need such as pipes being replaced – or emotional – for example, a service based on calming anxiety or fulfilling a desire, such as a wedding or divorce, a new home or the sale of a business. When customers and clients are dealing with a purely rational need, they can easily hand over the reins to the professional. They do not need to feel involved or engaged in the process, says Soman. When the issue is emotional people feel like they need to have some control over the outcome of the issue. People want to control their own destiny. If something goes wrong, the response from the customer or client isn’t necessarily rational. Emotional issues tend to produce emotional responses. Anger, frustration, anxiety, low self-worth, and defensiveness can be common reactions when an emotional situation goes awry. In essence, good customer service is good communication with the customer, and the type of service a person is looking for will determine how much communication and engagement is necessary. Soman argues that almost everything lawyers deal with has some emotional component to it; Therefore clients are generally more vested in the outcome of the entire process. Engaging the client and showing empathy becomes even more important for lawyers, Soman says, as a breakdown in either will increase a person’s dissatisfaction with the situation. Lawyers should take note because generally speaking, happy clients don’t sue their lawyers. They are also more likely to promote a lawyer to family and friends and retain the lawyer’s services longer. A lack of empathy, or the appearance that a lawyer is not listening and providing information in an understandable and timely fashion, are the main ways communication can break down, says Soman. This can lead to very emotional responses (a feeling of inferiority, for example) or very practical responses (an inability to make decisions because of a lack of information). The result: Further breakdown in the relationship with the client. To best understand the communication breakdown, put yourself in the client’s shoes to think about customer service and communication from your perspective as a customer as the lawyers on the following pages have done. With their help, we break down the communication breakdown. How can lawyers understand what clients truly want if they don’t listen? And how can lawyers listen if they are distracted by other files or aren’t accessible to their client in the first place? Not caring and appearing to not care are the same things in customers’ eyes. In other words, it’s all about perception. Being unreachable and distracted gives the appearance of disinterest, says Dilip Soman, a professor of marketing and communication strategy at the Rotman School of Business. This type of breakdown can give the perception that the service provider doesn’t really want to hear from the client at all. And people pick up on it when the service provider doesn’t really want to be helping with a problem, says Soman. “You know that they don’t want you there. You can sense they wish you didn’t exist, but because they’re a customer service agent they have to be there,” he says. The lawyer may be dealing with more than 100 files of varying importance, but as far as the client is concerned, there’s only one file that matters – and it’s that of the client. “I never forgot that,” he says. Now he makes sure clients know they are the most important part of the business, which Gowlings holds as a vital value in its client services model. Nobody likes to be put on hold or made to feel ignored or unimportant, so the solution is relatively straightforward. “Needless to say there should be no interruptions during a consultation. This means turning off email and the phone, and asking staff not to interrupt unless it is an emergency,” says family, wills and estates lawyer, Lawrence Pascoe of Mirksy Pascoe LLP in Ottawa. A study for the Law Society of England and Wales by Hilary Sommerlad, quoted in “What Clients Want” by Clark Cunningham, found that 50% of clients polled had worked with lawyers they did not like. This had the unintended consequence of leaving the client too frightened to speak up in future meetings, and resulted in the lawyer not fully understanding the situation and what the client wanted. “Listening is not something we as lawyers do particularly well,” says Judith Huddart, collaborative family lawyer at Dranoff and Huddart, Barristers and Solicitors. When lawyers don’t listen or make assumptions of what the problem is without letting the client finish his or her side of the story, they run the risk of ignoring what the client really wants. The England and Wales study showed effective communication also involves actively listening, which in turn boosts rapport, trust and mutual respect between the lawyer and client. The study participants had more positive responses when they felt their lawyer listened to them. It allowed the lawyer to better understand the needs of the client and address them accordingly. Stephen Pike, managing partner, external, at Gowling Lafleur Henderson LLP points to a recent bike-buying excursion with his wife to illustrate the point. They had done the research beforehand and had walked into the store convinced they knew what they wanted. The salesperson began asking them questions about how they planned to use the bike. After some extensive questions and answers – and attentive listening – the salesperson suggested a less expensive bike more tailored to the Pikes’ needs. A few years ago, Judith Huddart, collaborative family lawyer at Dranoff and Huddart, Barristers and Solicitors had to visit the doctor. She checked in, provided her health card and settled in with a book. Patients who came in after her came and went. “I suddenly realized there was no one left in the waiting room. An hour had gone by and I was still sitting there. When I got up and looked around – which I probably should have done earlier – I realized there was no one around at all,” she says. The doctor had left and when she asked what happened, she was told she should have spoken up, and that she “got missed.” The experience left its mark. Waiting is inevitable in law. It may be months before a court date is set. Weeks can fly by before a discovery. Lawyers may understand this, but clients, who rarely have dealings with the legal system, may have no way to gauge timelines. 2. providing an idea of how long – roughly – the whole process will take and what steps to expect. The goal, he says, is to find a way to soothe the client’s inevitable anxiety. He points to a recent study he conducted at a Canadian hospital of wait times to see an oncologist. There is a standard time lag of five to six weeks for someone with non-life threatening cancer to get a first appointment with a specialist. Soman and his team looked at ways hospitals can calm patients and make waiting a more pleasant experience. The solution: have a nurse call patients as soon as the referral is received and the appointment date set, a step that used to take place a week before the appointment. As well as taking basic information (age, weight, height, etc. ), the nurse now asks the patient if he or she has any questions. This is followed up with reminders about the upcoming appointment. By moving this call up in the process, the hospital gives the appearance that the patient is “in the system,” says Soman. People who have a sense of how long they will have to wait for their appointment will consistently rank their experience as more positive than those who aren’t told how long the wait will be. Not all timelines are easy to predict, but even acknowledging it is difficult to determine the waiting time has a soothing effect on anxiety and dissatisfaction, Soman says. However, when timelines can’t be predicted, lawyers should check in regularly with clients, to let the client know the status of the matter or next steps (even if next steps are on hold because of delays or a pending event). Gosnell adds that clients are able to plan their own lives better too: They do not need to keep the calendar open for possible unanticipated court dates. “We’re [McLeish , Orlando LLP] in the process of retaining an ad agency for some of our marketing,” says Dale Orlando. “And it’s really frustrating when they use acronyms we don’t understand. You don’t want to ask because it seems like everybody else in the room knows what that means, so maybe I should. Needless to say, Orlando did not retain that agency. Speaking in code is an easy trap to fall into. It is the language lawyers use daily with their peers, so to talk in legal terms with a client seems totally natural. This can create two problems. First of all, when clients don’t understand what is going on, they aren’t in a position to make informed decisions. “I like it when a doctor explains things on my layman’s level as I am not a doctor. We forget our clients are not lawyers,” says Pascoe. “I like it when my doctor makes it even simpler by drawing a diagram to explain my medical problem.” It may seem rudimentary, but it works. Understanding why something is the way it is makes it easier to accept and rationalize rather than just being told that’s the way it is. 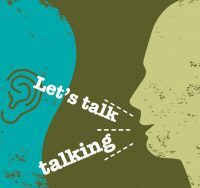 The second problem, Dilip Soman,Dilip Soman, professor of marketing and communication strategy at the Rotman School of Business, says, is emotional: When someone speaks ‘above’ a customer’s understanding, it makes the client feel inferior. “It puts the lawyer on a pedestal,” he says. No one wants to be talked down to or made to feel stupid, but when they don’t understand, it isn’t always easy to ask for an explanation. Ditch the jargon and speak plainly. Make things as concise as possible and ask questions to make sure the client understands. Solid, two-way communication involves actively listening to clients and clearly explaining issues at hand. It doesn’t require new technologies or serious investment, Soman says. “It’s the small things that matter,” he adds. Little, positive experiences will have a much longer-lasting effect on the entire process. Think of the last trip you took: Did you have a good time? Was it raining or sunny the entire time? Was the staff friendly or rude? The entire trip may be coloured by a single positive or negative event. Creating a positive experience for your clients can result in client loyalty, brand recognition, free marketing as clients tell their friends and family, and a deeper relationship based on trust and respect. The benefits of great communication outweigh the cost. In fact, Soman says, communication is probably one of the easiest processes to fix because the solutions to “bad communication” don’t cost much (if anything) at all. 1) Give your clients some homework: Give them a checklist of things they will need to do and should want to do to help keep the case moving forward. 2) Give them a “manual”: This doesn’t have to be as thick as a car manual, but it could offer basic information about the type of law you will be helping them with, a breakdown of the processes involved and, when possible, timelines or estimated timelines. 3) Treat each client as if she is your only client and your business depends on her: This doesn’t mean worshipping the ground she walks on. It means turning off your phone, not checking your email and putting all your attention on the file before you – not the file sitting on your desk upstairs. 4) Remember the little details: Take a minute to familiarize yourself with the file or documents before you meet with the client. Try to remember some more personal details about the client as well – his family details, hobbies, or job. Try connecting on a personal level. 5) Practice the art of (partial) silence: When a client first comes in to discuss a matter, let the client do the talking, at least at first. Ask appropriate questions to get to the heart of the matter. What exactly does the client need you to do and why? 6) Don’t assume the client understands: When you are explaining something, ask the client if she understands what you are talking about. Take it a step further and have her explain it back to you. 7) Be up-front about costs: To the best of your ability, lay out how the client will be charged. Is he going to be charged a flat rate? Will you charge by the hour? Do follow-up phone calls “count” towards that hour? How much is the retainer and how will it be replenished? Be open. 8) Find out the best way to communicate with the client: Rather than force the client to call you on your schedule, find out if email is a better way of keeping in touch with the client. 10) Provide regular updates: Keep the client informed with what is going on in his file. This is especially important when the file has a long shelf life and there may be long periods of inactivity. 11) Acknowledge when you receive new information from the client: Your client needs to know you have that new document in your system and it hasn’t been lost in the mail.